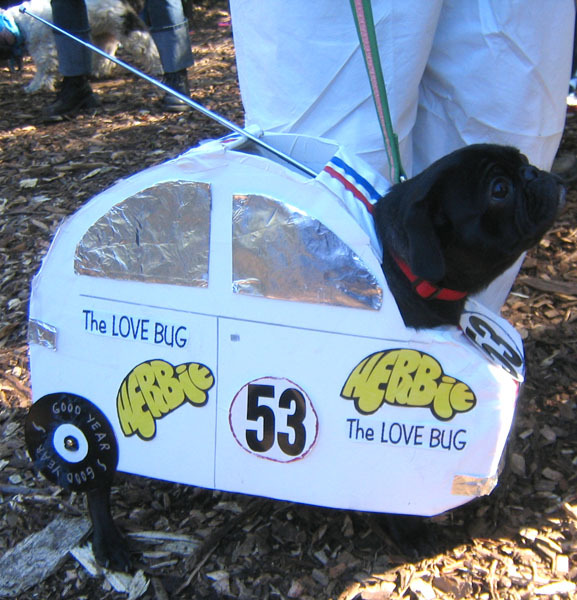 Herbie, the Love Pug Costume. 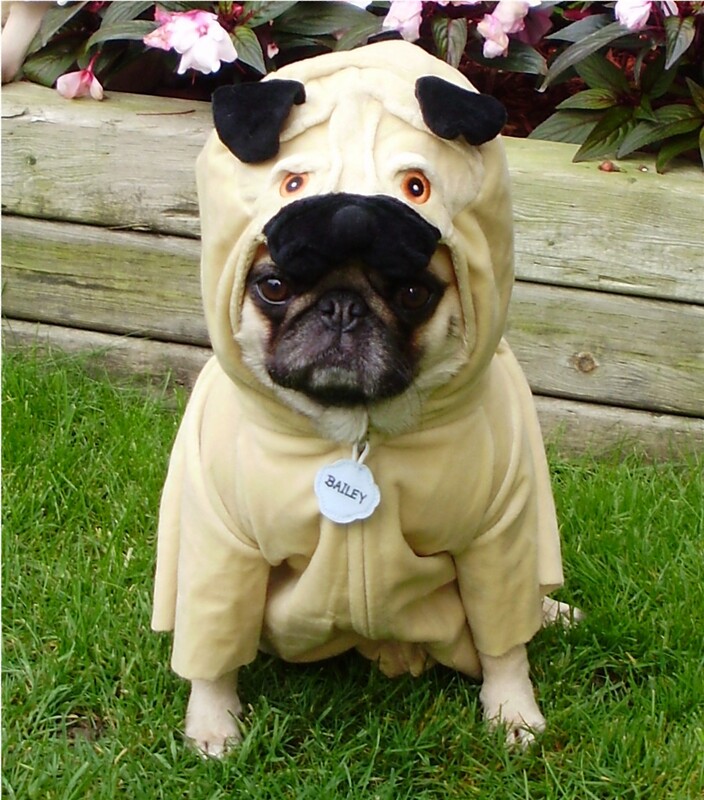 An awesome pug costume – Herbie, the Love Pug! Pug Vader is on the loose! 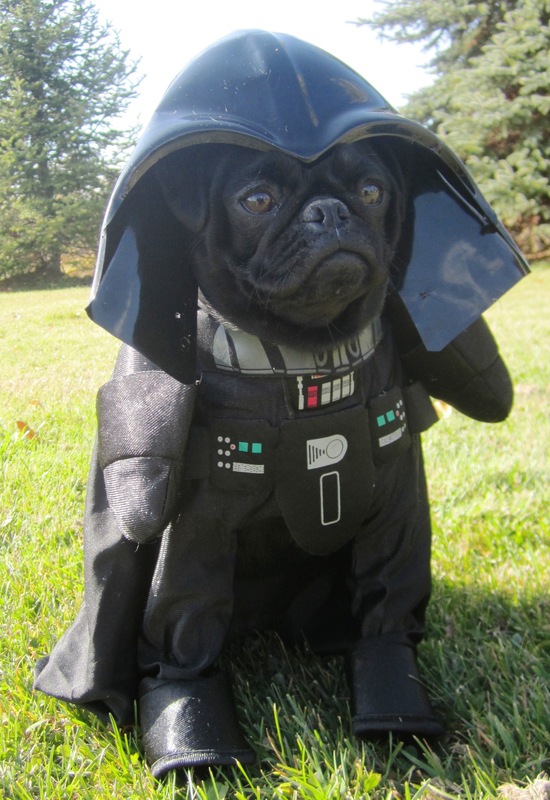 An adorable pug costume – Pug Vader! 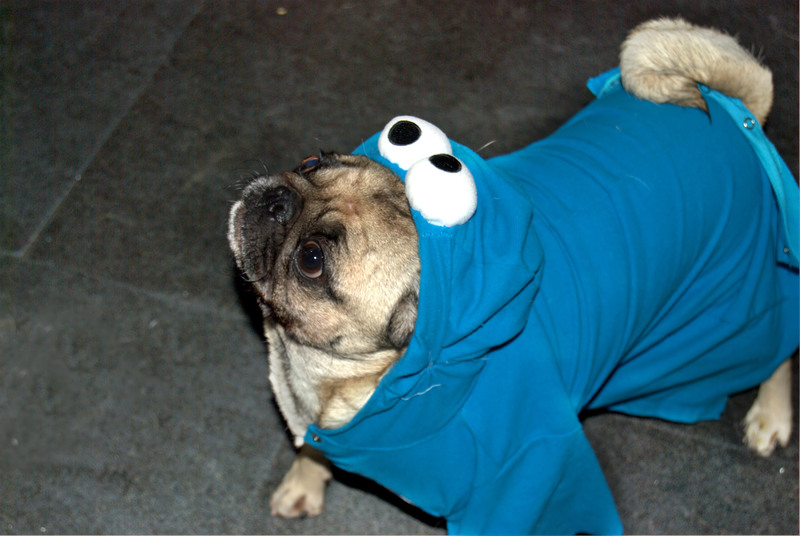 Pugs even look great in blue – this is an awesome Cookie Monster pug costume! Batpug is here to save the day! 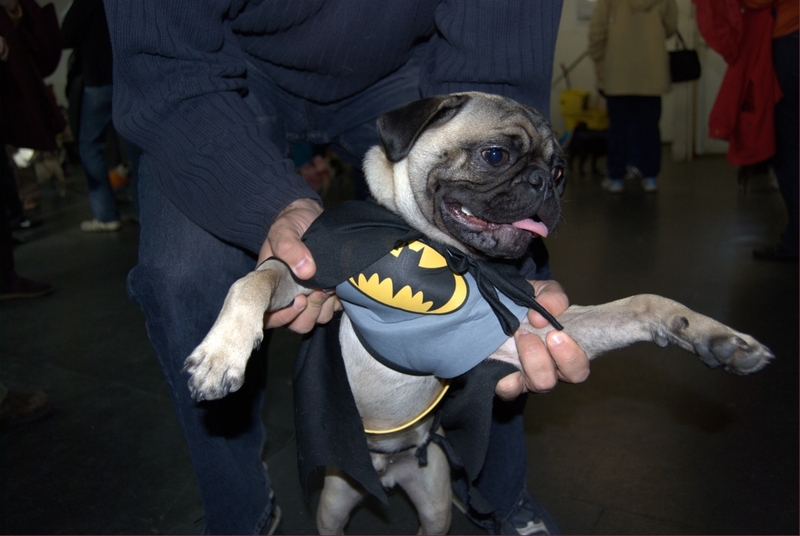 This bat pug costume is amazing (and he looks so happy to be helping the people)! 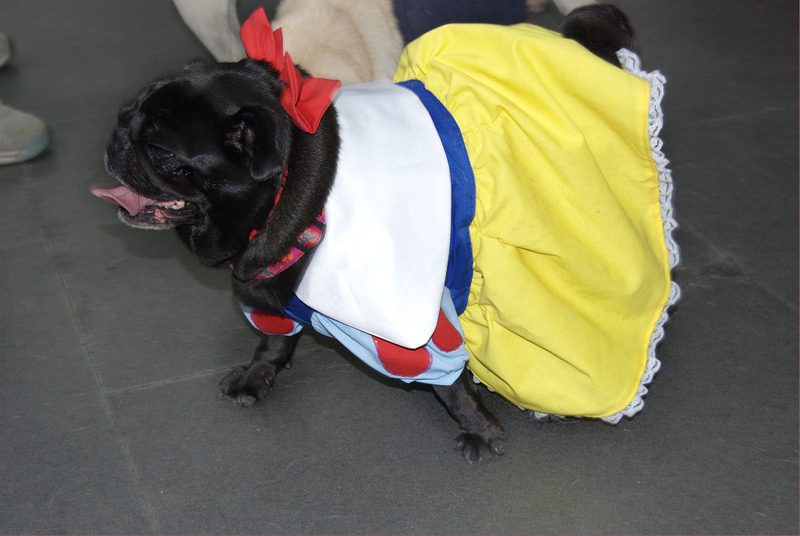 A true classic: the Snow White pug costume. Variations of this pug costume have been circulating the internet for ages now, but it still doesn’t make it any less cute! :) Pug costume week continues on! The pirate pug sets sail today! 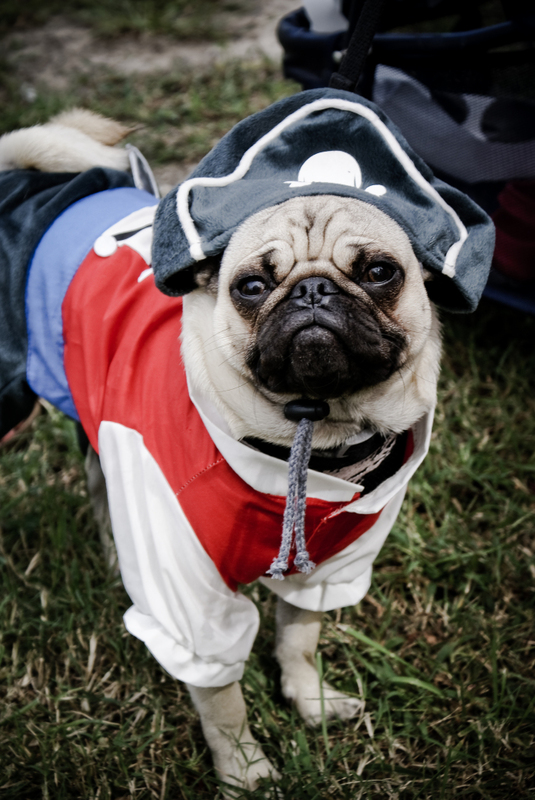 This pirate pug costume continues our costume pug week. The Chinese takeout pug halloween costume! Pug costume week continues! 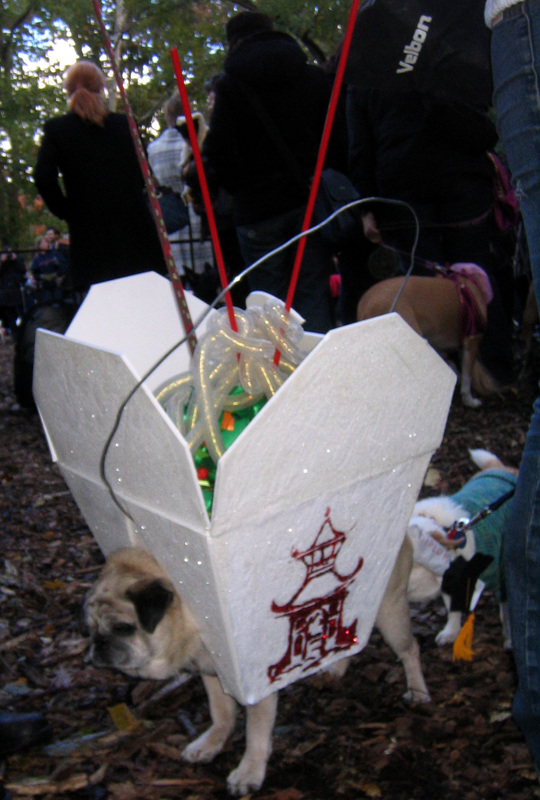 This Chinese takeout pug costume Halloween looks a bit heavy, but looks absolutely amazing! 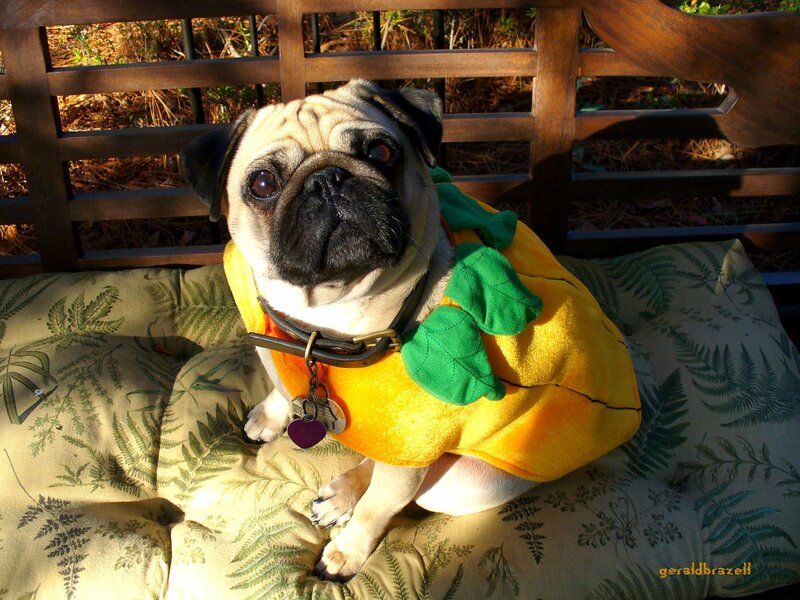 A fantastic looking great pumpkin pug. It is almost Halloween, so that means pugs in costumes! This pug in a pug costume is the perfect way to kick off the lead up to Halloween. 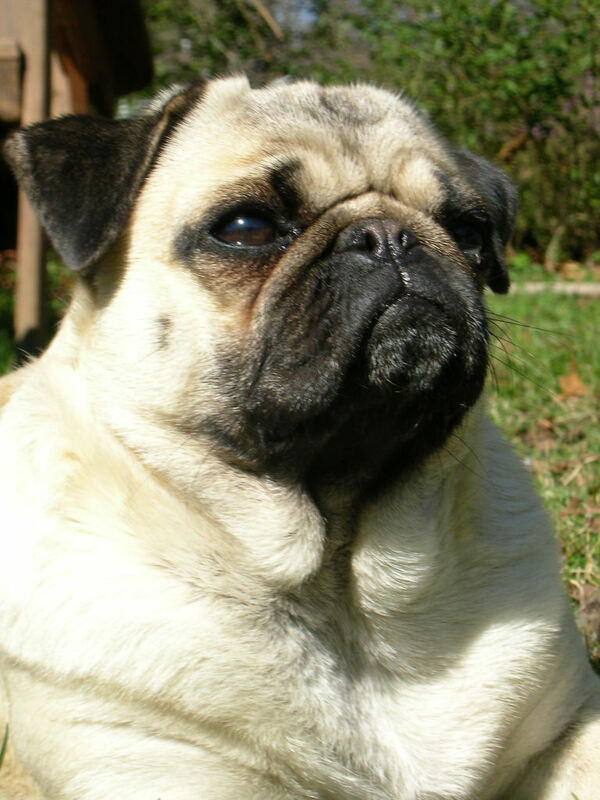 Such a magnificent looking pug! A very handsom fellow to be sure.